A good, solid album with a guest list to die for, so it's very strange as to why this was never released back in the day. The term super-group has been bandied around for years with record companies bringing together so-called stars to record what could be the ultimate release. Very few seem to work, which is probably down to the egos of the respective band members. 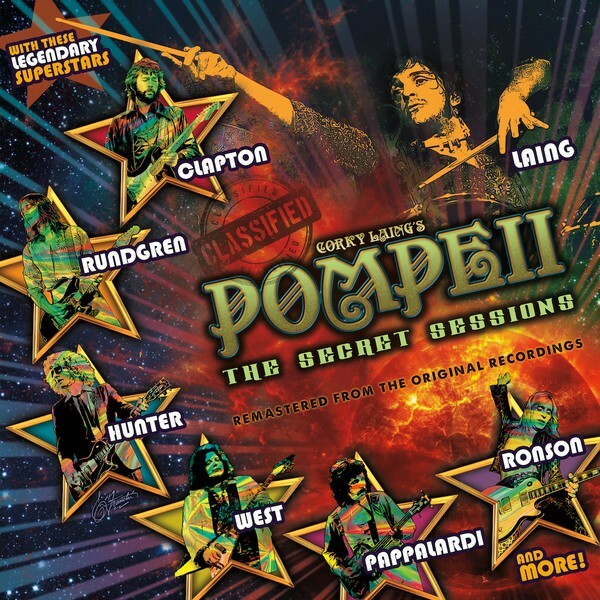 With that said, who are Pompeii and how does super-group fit into the equation? 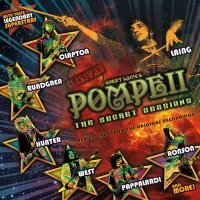 The leader of the band is Corky Laing, the former drummer of Mountain, who joined forces with a certain Ian Hunter to write songs for the project; the final pieces of the jigsaw were the recruitment of bassist Felix Pappalardi and legendary guitarist Mick Ronson. The Elektra/Asylum record company brought in superstar producer Bob Ezrin and 'The Secret Sessions' was born. The list of guest musos for the project reads like a who's who of seventies Rock music and includes Eric Clapton, Todd Rundgren and Leslie West, to name but a few. The album kicks off with 'Easy Money', a rambling tale of working girls which shows its age and style, but is performed with the class that you would expect given the talent involved. The songs have an ambience of the time and it's a shame that these have been kept hidden away for almost forty years. Other quality songs include The Rolling Stones-esque 'Silent Movie' with its harmonica and piano interludes and it's a real foot-tapper. The hard part about the album is keeping up with the guest list of players and alternate vocal styles between songs. 'Just When I Needed You Most' is a slow meandering ballad which twelve months later was re-recorded by Randy Van Warmer and became a Number One hit single in the USA. Last year Corky got together a new incarnation of the band and re-recorded four of the tracks which are only available via digital download; these have a slightly crisper sound to them. The songs have aged well, but are they relevant today? For the nostalgia factor, I would say yes. It is a good, solid album with a guest list to die for, so it's very strange as to why this was never released back in the day. Perhaps it could be put down to the Punk explosion; after all, did the world need another dinosaur Rock group? Probably not. Like the real Pompeii, it was buried for years only to be rediscovered for a new generation.